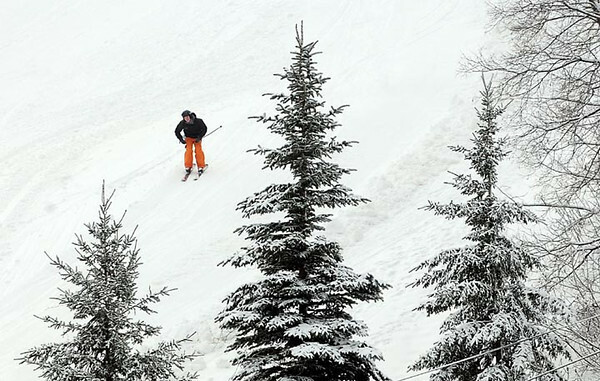 A skier makes his way down one of the open runs at Mt. Kato Friday. The ski hill opened today.